Did you know he's a real cop now? camera (NBC/Getty Images) Erik Estrada is pictured as "Ponch" in CHiPS. It's been more than 30 years since "CHiPs" went off the air, but the famed show is still as iconic as ever and so are its stars. 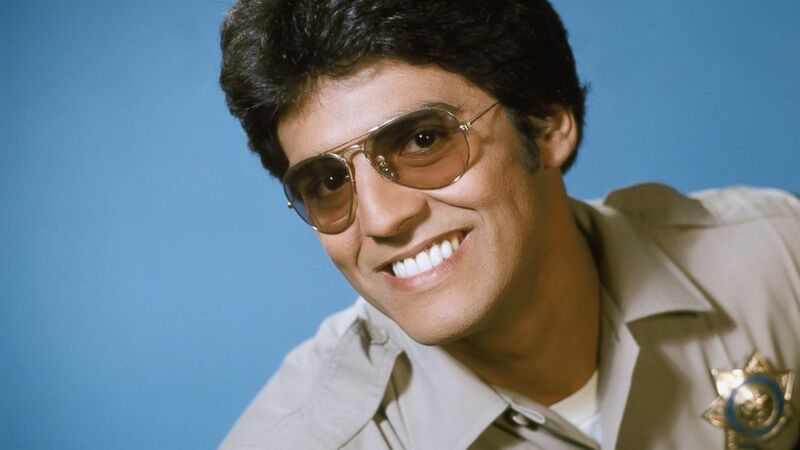 On the show, there was no bigger star than Erik Estrada, who played Officer Frank Poncherello for 139 episodes from 1977 to 1983. Today being National Chip and Dip day, Tostitos wisely chose to team up with Estrada, 66, to promote the epic day of snacking. Anyone named Chip today can head to EveryChipGetsADip.com and with photo proof, can get a free dip. "Never," he told ABC News. "We took over the old 8 p.m. family hour. 'Fabulous World of Disney' was on just before us and it was a family hour show. That's why we never drew our guns. It wasn't about bang, bang, shoot 'em up. It was about helping the pedestrians, people in trouble, the young kids who are straying. It was about officer-public friendships and mentoring." "I got to meet people I watched on TV," he said. Estrada was a big television fan and said after watching all these celebrities on TV while he was growing up in the projects in Harlem, it was nice to actually meet and get to know some of them. "I got to meet so many celebrities I watched," he said. "Sid Caesar, Ed McMahon, 'The Honeymooners,' all these actors and actresses on other shows, who would guest star on our show. That was great. I always took a Polaroid with everyone and kept them. I'm a big fan. I flip out when I see someone and go, 'Oh my God, I gotta get a photo.'" Estrada wanted to pave the way for other Hispanic actors and actresses. "Poncherello was Poncherelli," he said. "When I got the contract, I walked into the producer's office and said we need to change a couple of things ... It made sense. For 7, 8 years I had been playing the Latino with the gun, the knife, the bad---. Why don't we [make this character] a Hispanic-American cop. Prime time had never had a Latino in a positive role image. They went with it and it helped open doors for Latino actors." Estrada grew up wanting to be an New York City cop. His mother dated a cop after she left his father due to drug problems. "She started dating this cop," he said. "I loved the man. The first man I ever loved was a cop ... So, I wanted to be a cop." But at 18 years old, there was a girl who was into acting. He started to go to auditions. "I got bit by the acting bug," he said, adding his dreams of being a cop had to be put on hold. It's safe to say thing worked out for Estrada with a long, successful career in TV and movies. His drive to be an actor was always to help his mother out and get her out of the projects. He made a deal with his mom that if he didn't make it in acting by the time he was 30, he would return to NYC and become a cop. He landed the role on "CHiPs" at 27! "My mother hasn't worked since 1977," he said of when the show began. "She's living the way I want her to live, the way she should be living." After playing a cop for many years, he became a real cop, working Internet crimes against children in Virginia. "I got another six years, then I'm going to retire from the department," he added. "I want to go and solicit the country and go to school and have them put in an Internet safety education program." "So, here I am a kid who wanted to be a cop, then as an actor I played a cop, now I'm a cop that acts once in a while," he said. During the last season, he was filming a scene where he and his partner jump on the motorcycles and a car is backing down the alley. The cops chase the car. It was Friday and they filmed the scene, and Estrada was in his dressing room when they told him there was a hair in the lens and they had to film again. But the stunt guys had already gone home. "They put this young driver in the car," he said. "The guy stops 25 feet too soon ... My motorcycle hits the front fender, I go through the windshield, land on the hood and then the bike flips on my back. Boom, a thousand pounds, crushed." A helicopter took Estrada to UCLA, after he fractured ribs, punctured both lungs, cracked his jaw and broke his wrist. "They gave me five days in intensive care and said I had a 50/50 chance of living," he said. Estrada got out of the hospital and the world is better for it! "I got back on the bike and here I am rolling now," he said.